Media interest in food has intensified in recent years, leading to a contemporary food landscape where ‘alternative’ food practices are increasingly visible. Concerns that were once exclusively the domain of activist movements motivated by environmental, animal rights, health and anti-corporate agendas are now central to primetime television cooking shows, mobile apps and social media. This book is the first to explore the impact of popular media and culture on contemporary food politics. Through examination of a range of media and cultural texts, including news, digital media, advertising and food labelling, it brings together leading and emerging scholars in food studies, media and communications, sociology, law, policy studies, business, and geography. The book explores the practices of alternative food movements, the marketing techniques of conventional and alternative food producers, and the relationships between food industries, media, and the public. Covering topics ranging from agtech start-ups and social justice projects, to new ways of mediating food waste, celebrity, and ‘ethical’ foods, Alternative Food Politics reveals the importance of media as a driver of food system transformation. 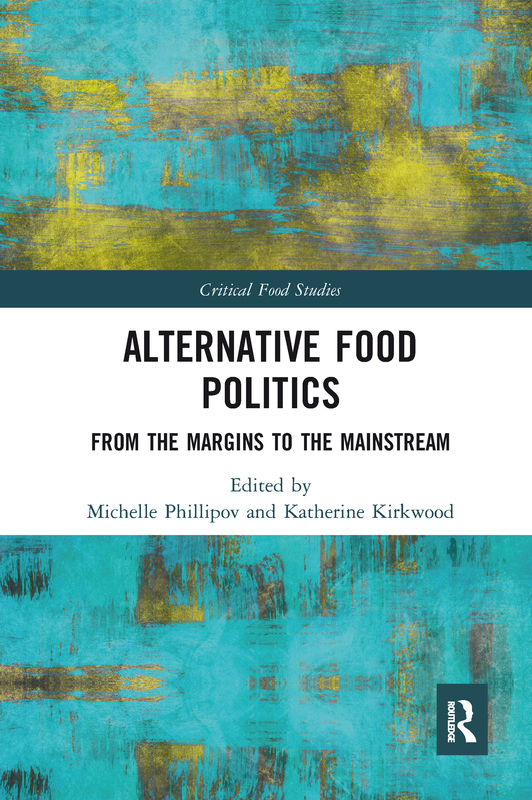 This is a pivotal time for media and food industries, and this book is essential reading for scholars and students seeking to better understand the futures, possibilities and limits of food politics today.